Hey Folks this is a tiny little peek at the work I have been making in my studio this summer! 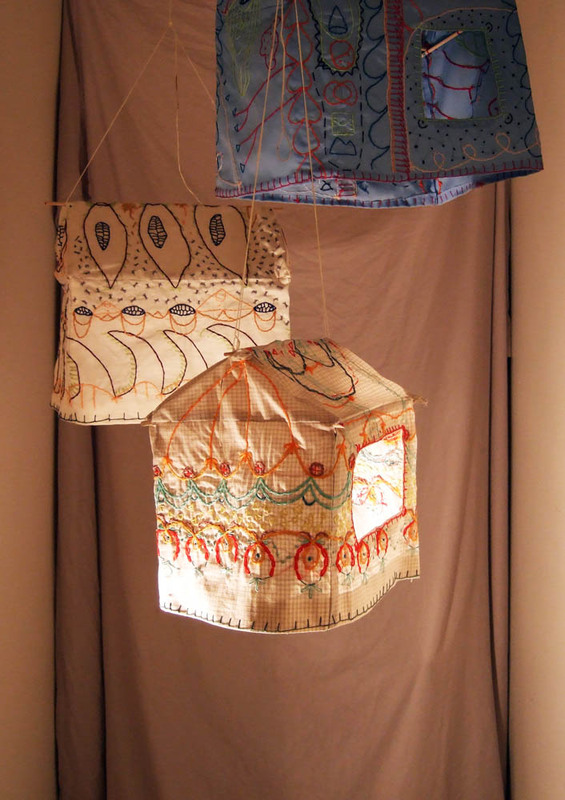 Hand embroidered houses that float in the air and light up. They will be on display as of Monday September 10th, and up until the end of the month! The project is supported by Hamilton Supercrawl! You will find the whole fleet of houses at the wonderful shop/workspace called NEEDLEWORK! Aren't people who make cool things, and help others make cool things the best? I am totes excited for this one.